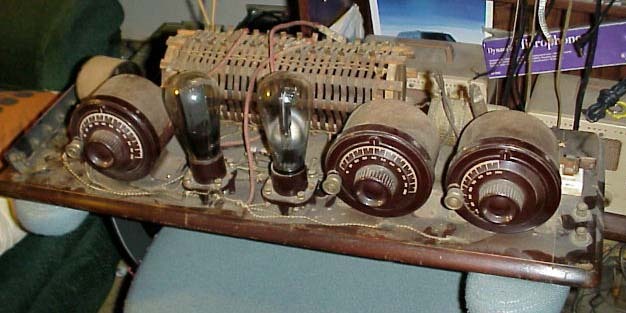 Built from an Atwater Kent model 10 breadboard, uses two #10 tubes. 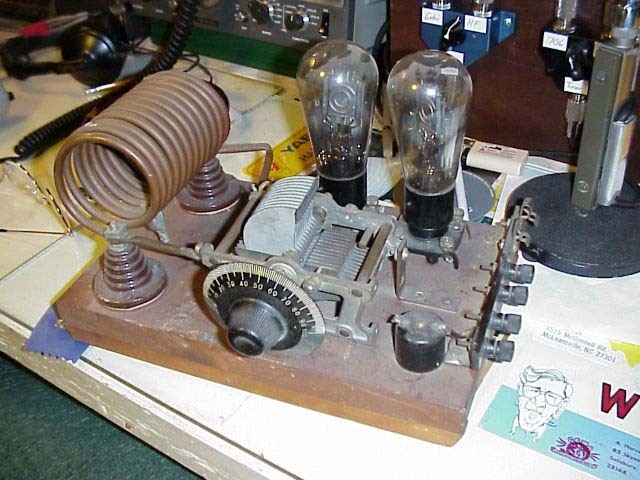 Homebrew using two #10 tubes, an article in a 1929 issue of QST shows a transmitter very similar to this except it only has one tube. 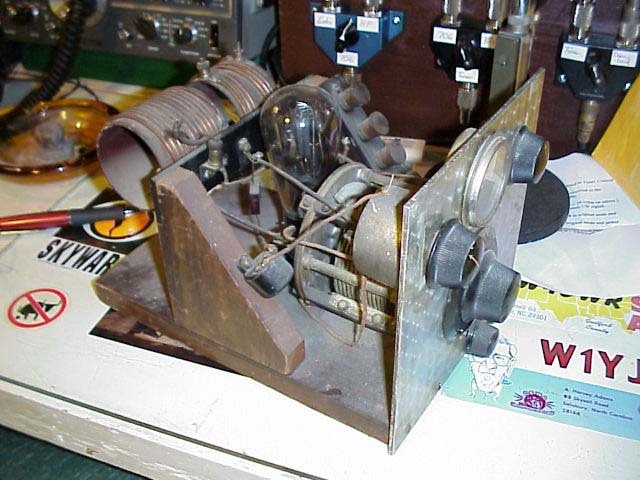 This was the first early transmitter I ever bought, I sold it to a friend in about 1980 before I got really interested in them, I completly forgot about for about it. sitting on a shelf wrapped in plastic. He told me he wrapped it up when he bought it form me and it had been sitting right there ever since. 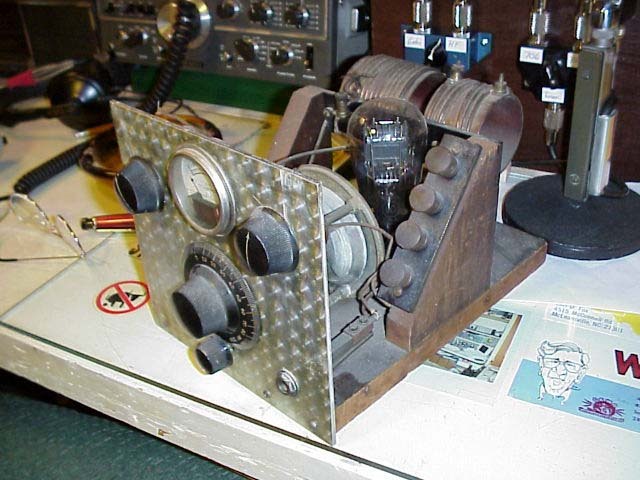 I was very happy he agreed to sell it back to me.